The protection of Hawaii’s endemic ‘ōhi‘a tree is imperative to the health Hawaii’s native forests that are a main provider of freshwater for the islands and habitat for native species. 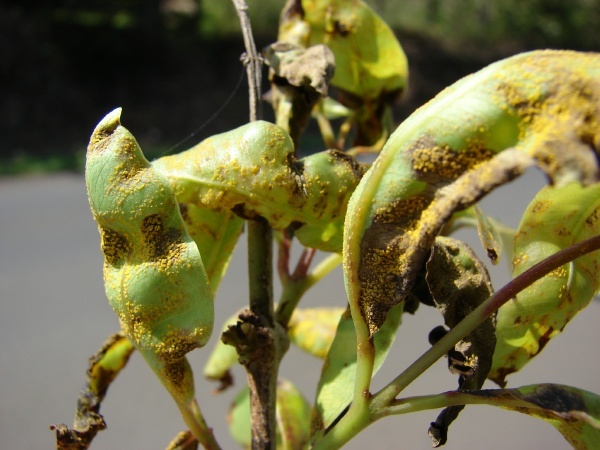 Our native forests are threatened by invasive species, including invasive pathogens like guava rust (Austropuccinia psidii, formerly Puccinia psidii), and the two Ceratocystis fungal pathogens that cause Rapid ‘Ōhiʻa Death. 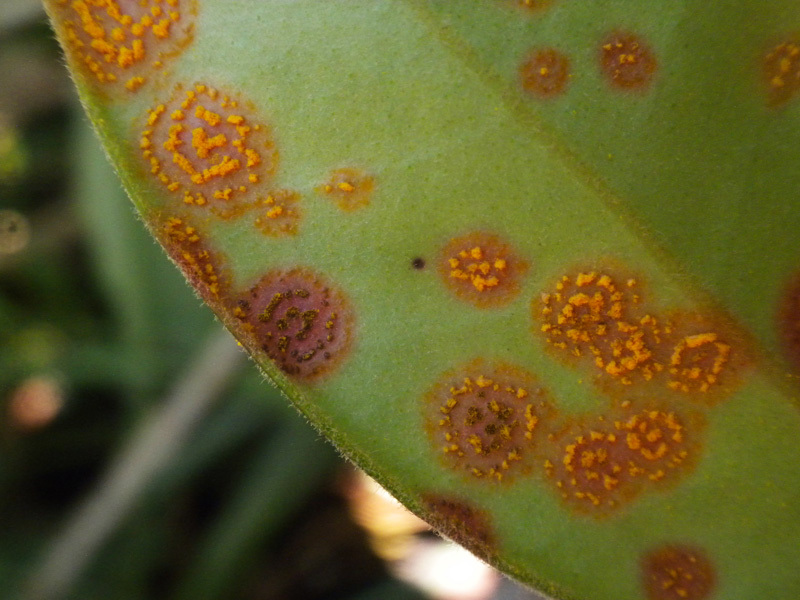 This page is a compilation of reports and studies focused primarily on Austropuccinia psidii and other threats, in support of restricting the importation of Myrtle family plants into Hawai‘i. 2018 HDOA Draft Myrtaceae Rule. This proposed rule change would insert this language into the Plant Import Rules which regulates domestic importation of goods into Hawaii. If the Small Business Regulatory Review Board approves it for public hearing, it will go to the Governor for consideration whether or not to approve it for public hearings statewide. 2016 Guidance Document for Rapid ‘Ōhiʻa Death Final: With funding from the Hau`oli Mau Loa Foundation, CGAPS contracted Lloyd Loope Environmental to draft a baseline resource document on Rapid ‘Ōhiʻa Death (ROD), which was submitted in December, 2016. This document provides a good summary of a variety of pathogens known to be impacting ‘ōhi‘a. 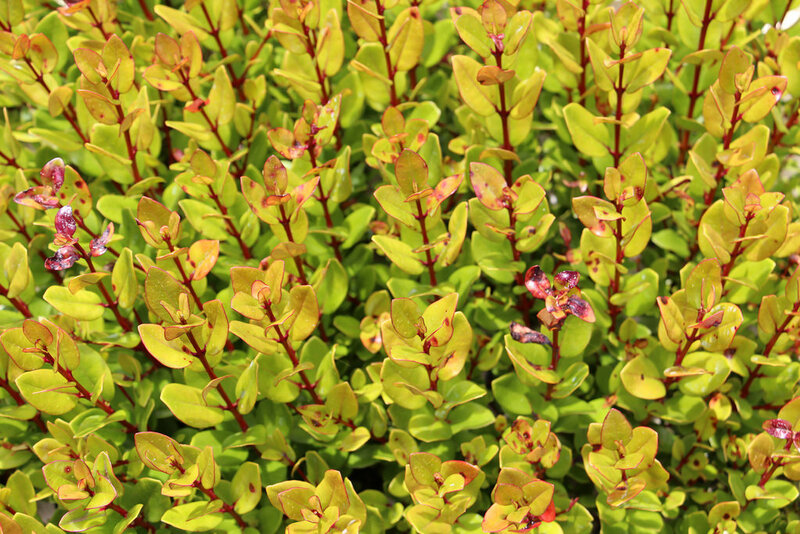 2016 BOA submittal request for public hearing: 2016 request to the Board of Agriculture to schedule public hearing for a proposed amendment to add a new subchapter to restrict the importation of plants and plant parts in the Myrtaceae family to prevent the introduction of new strains of ‘Ōhiʻa Rust. 2014 HCR47 Requesting HDOA and USDA act to protect ‘Ōhi‘a. 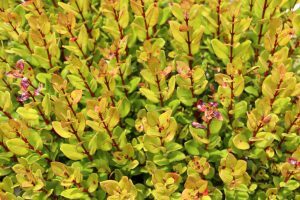 House Concurrent Resolution passed in 2014 by the Hawaiʻi State Legislature urging state and federal rulemaking to restrict Myrtle family imports into Hawaiʻi. 2014 Virulence and Impact of Brazilian Strains of Puccinia psidii on Hawaiian ‘Ōhi‘a (Metrosideros polymorpha): Article in Pacific Science, January 2014,by André Costa da Silva, Pedro Magno Teixeira de Andrade, Acelino Couto Alfenas, Rodrigo Neves Graça, Phil Cannon, Rob Hauff, Diego Cristiano Ferreira, and Sylvia Mori. 2012 The Challenge of Retarding Erosion of Island Biodiversity through Phytosanitary Measures: An Update on the Case of Puccinia psidii in Hawai‘i. Article in Pacific Science (2012), vol. 66, no. 2:127 – 139, by Lloyd Loope and Janice Uchida. 2012 Buy Local for ‘Ōhiʻa flyer: This one-page flyer encourages the public to buy locally-grown cut flowers and foliage in response to the discovery of ‘ōhi‘a rust, by CGAPS. 2012 Buy Local for Ohia Import replacement display: This presentation highlights a pilot project on import replacements for non-native Myrtles to help rebuild the ability to grow locally and supply the needs of businesses and consumers, by CGAPS. 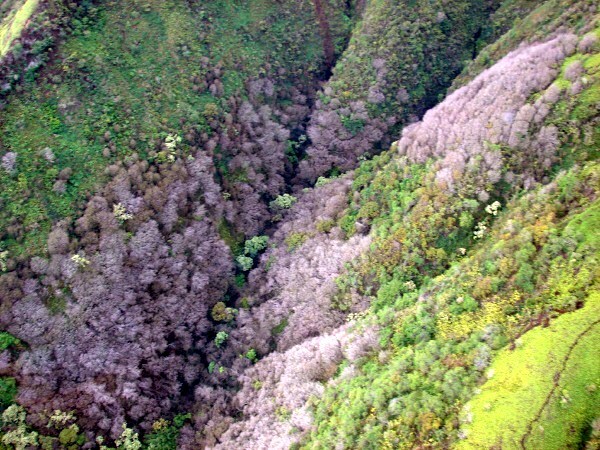 2011 Safe Importation of Eucalyptus Germplasm into Hawaiʻi: Report on procedures for the safe importation of Eucalyptus germplasm into Hawaiʻi for Eucalyptus plantations. This report touches on the impacts to this industry from the rust, the possibility of new strains traveling with eucalyptus, and how phytosanitary measures can minimize risk, by Mee-Sook Kim, Ned B. Klopfenstein, and Phil G. Cannon. 2010 A Summary of Information on the Rust Puccinia psidii with Emphasis on Means to Prevent Introduction of Additional Strains to Hawai‘i. U.S. Geological Survey OpenFile report 2010-1082, by Lloyd Loope. 2010 Molecular Genetic Studies ‘Ōhiʻa Rust Summary: This is a summary of the seminar, “Molecular genetic studies to characterize guava rust (formerly Puccinia psidii): An invasive pathogen of native Hawaiian forests and a potential threat to Myrtaceae worldwide,” presented at the University of Hawai‘i at Mānoa on July 13, 2010 by Rodrigo Neves Graça, of the Universidade de Viçosa in Brazil. Here are the slides from that presentation. 2008 Disease Index for the Rust Puccinia psidii on ‘Ōhiʻa in Hawaii. University of Hawai‘i at Mānoa CTAHR Plant Disease publication PD-38, Feb, 2008, by Janice Y. Uchida, Robert C. Anderson, Chris Y. Kadooka, Anne Marie LaRosa, and Cheresa Coles. 2008 An Analysis of Risk of Introduction of Additional Strains of the Rust Puccinia psidii to Hawaii. U.S. Geological Survey OpenFile report 2008-1008, 11 p. by Lloyd Loope and Anne Marie La Rosa. 2007 Puccinia psidii interim rule enacted in August 2007, restricting domestic importation of Myrtaceae into Hawai‘i. Interim rules expire after one year. Resource managers first found the rust on rose apple leaves in 2005. Surveys determined that the rust had already spread statewide, but it was not impacting nearby ohia. Rose apple (a formerly common non-native Myrtle family tree) began dying across the state. This gulch in Waihee, Maui shows the impact. Photos by Forest and Kim Starr.